Help locate resources for your programs. When Audrey was a child she desperately wanted to act and sing, but her mother wouldn’t allow her. But, at age 60, she discovered an acting class for older adults. She took part in the class and her dream came true: she finally was on stage performing for audiences of children, whom she loved. Over the years, she studied storytelling, dance and much more. When she no longer could memorize lines, she took to improv, where she could be spontaneous and just have fun. Audrey passed away last year at 92. The last third of her life was on stage fulfilling her dream. Isolation is a major problem for many older adults, whether they are living alone or in a retirement setting. Story Circles bring people together. Participants are invited to share their stories of growing up, important moments, and their dreams about the future. By sharing stories and listening to each other’s stories, older adults connect deeply with one another. This can lead to friendships and having companions to share other activities with. “I’ve still got a lot to give” says Cecil Pierce, age 87. Like many elders, Cecil no longer had audiences to share her stories, talents and life with until she began going into elementary schools as part of Storybridge. She told tales of growing up as an African American child in Philadelphia, urged her young audience to talk with their own grandparents, learn their stories and then share them. For many children, this is the first time they have heard stories from an elder or discovered their own family history and shared it with others. It fulfills that need for “generativity" to give back to other generations. 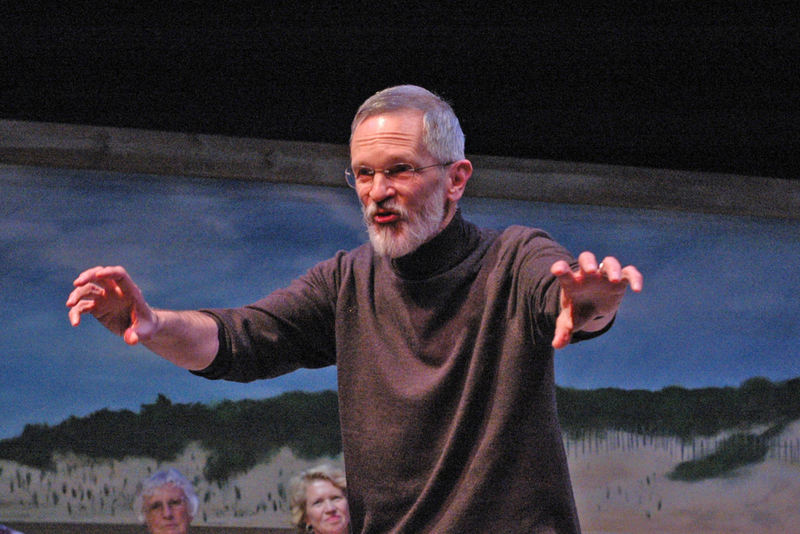 Jeff had just retired as a marketing expert at age 62 and wasn’t sure what his next “act” might be --- until he began taking storytelling classes, then acting, singing, and improv classes. He discovered he could hold an audience with his performances and stories. After a number of years of training, he also discovered he loved to teach, particularly young children. He was hired by Stagebridge and now travels around the Bay Area working in schools, libraries and community centers, helping others find their stories and talents.